The animals inspired the design of the very first battery. Two centuries later, they're at it again. 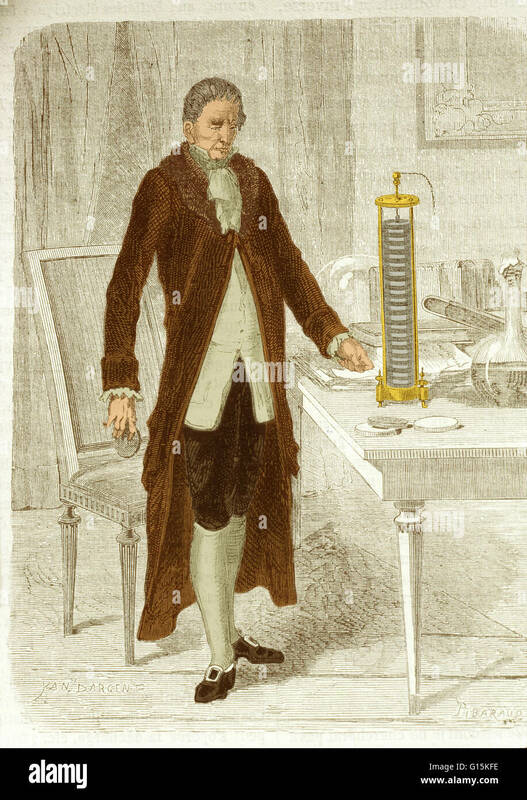 In 1799, the Italian scientist Alessandro Volta fashioned an arm-long stack of zinc and copper discs, separated by salt-soaked cardboard. This “voltaic pile” was the world’s first synthetic battery, but Volta based its design on something far older—the body of the electric eel. This infamous fish makes its own electricity using an electric organ that makes up 80 percent of its two-meter length. The organ contains thousands of specialized muscle cells called electrocytes. Each only produces a small voltage, but together, they can generate up to 600 volts—enough to stun a human, or even a horse. They also provided Volta with ideas for his battery, turning him into a 19th-century celebrity. Two centuries on, and batteries are everyday objects. But even now, the electric eel isn’t done inspiring scientists. A team of researchers led by Michael Mayer at the University of Fribourg have now created a new kind of power source that ingeniously mimics the eel’s electric organ. It consists of blobs of multicolored gels, arranged in long rows much like the eel’s electrocytes. To turn this battery on, all you need to do is to press the gels together. Unlike conventional batteries, the team’s design is soft and flexible, and might be useful for powering the next generation of soft-bodied robots. And since it can be made from materials that are compatible with our bodies, it could potentially drive the next generation of pacemakers, prosthetics, and medical implants. Imagine contact lenses that generate electric power, or pacemakers that run on the fluids and salts within our own bodies—all inspired by a shocking fish. To create their unorthodox battery, the team members Tom Schroeder and Anirvan Guha began by reading up on how the eel’s electrocytes work. These cells are stacked in long rows with fluid-filled spaces between them. Picture a very tall tower of syrup-smothered pancakes, turned on its side, and you’ll get the idea. When the eel’s at rest, each electrocyte pumps positively charged ions out of both its front-facing and back-facing sides. This creates two opposing voltages that cancel each other out. But at the eel’s command, the back side of each electrocyte flips, and starts pumping positive ions in the opposite direction, creating a small voltage across the entire cell. And crucially, every electrocyte performs this flip at the same time, so their tiny voltages add up to something far more powerful. It’s as if the eel has thousands of small batteries in its tail; half are pointing in the wrong direction but it can flip them at a whim, so that all of them align. “It’s insanely specialized,” says Schroeder. He and his colleagues first thought about re-creating the entire electric organ in a lab, but soon realized that it’s far too complicated. Next, they considered setting up a massive series of membranes to mimic the stacks of electrocytes—but these are delicate materials that are hard to engineer in the thousands. If one broke, the whole series would shut down. “You’d run into the string-of-Christmas-lights problem,” says Schroeder. In the end, he and Guha opted for a much simpler setup, involving lumps of gel that are arranged on two separate sheets. Look at the image below, and focus on the bottom sheet. The red gels contain saltwater, while blue ones contain freshwater. Ions would flow from the former to the latter, but they can’t because the gels are separated. That changes when the green and yellow gels on the other sheet bridge the gaps between the blue and red ones, providing channels through which ions can travel. Here’s the clever bit: The green gel lumps only allow positive ions to flow through them, while the yellow ones only let negative ions pass. This means (as the inset in the image shows) that positive ions flow into the blue gels from only one side, while negative ions flow in from the other. This creates a voltage across the blue gel, exactly as if it was an electrocyte. And just as in the electrocytes, each gel only produces a tiny voltage, but thousands of them, arranged in a row, can produce up to 110 volts. The eel’s electrocytes fire when they receive a signal from the animal’s neurons. But in Schroeder’s gels, the trigger is far simpler—all he needs to do is to press the gels together. It would be cumbersome to have incredibly large sheets of these gels. But Max Shtein, an engineer at the University of Michigan, suggested a clever solution—origami. Using a special folding pattern that’s also used to pack solar panels into satellites, he devised a way of folding a flat sheet of gels so the right colors come into contact in the right order. That allowed the team to generate the same amount of power in a much smaller space—in something like a contact lens, which might one day be realistically worn. For now, such batteries would have to be actively recharged. Once activated, they produce power for up to a few hours, until the levels of ions equalize across the various gels, and the battery goes flat. You then need to apply a current to reset the gels back to alternating rows of high-salt and low-salt. But Schroeder notes that our bodies constantly replenish reservoirs of fluid with varying levels of ions. He imagines that it might one day be possible to harness these reservoirs to create batteries. Essentially, that would turn humans into something closer to an electric eel. It’s unlikely that we’d ever be able to stun people, but we could conceivably use the ion gradients in our own bodies to power small implants. Of course, Schroeder says, that’s still more a flight of fancy than a goal he has an actual road map for. “Plenty of things don’t work for all sorts of reasons, so I don’t want to get too far ahead of myself,” he says. “I’m amazed at how much electric eels have contributed to science,” he adds. “It’s a good lesson in the value of basic science.” Schroeder, meanwhile, has only ever seen electric eels in zoos, and he’d like to encounter one in person. “I’ve never been shocked by one, but I feel like I should at some point,” he says.